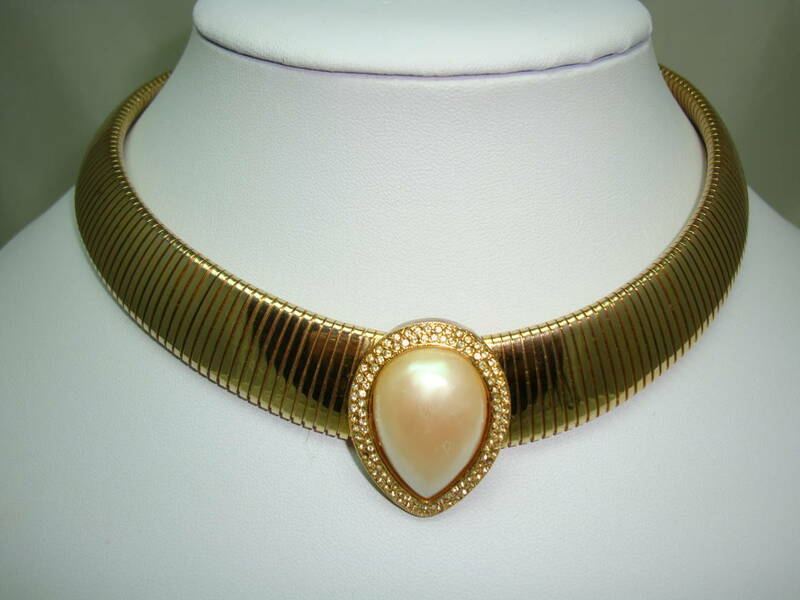 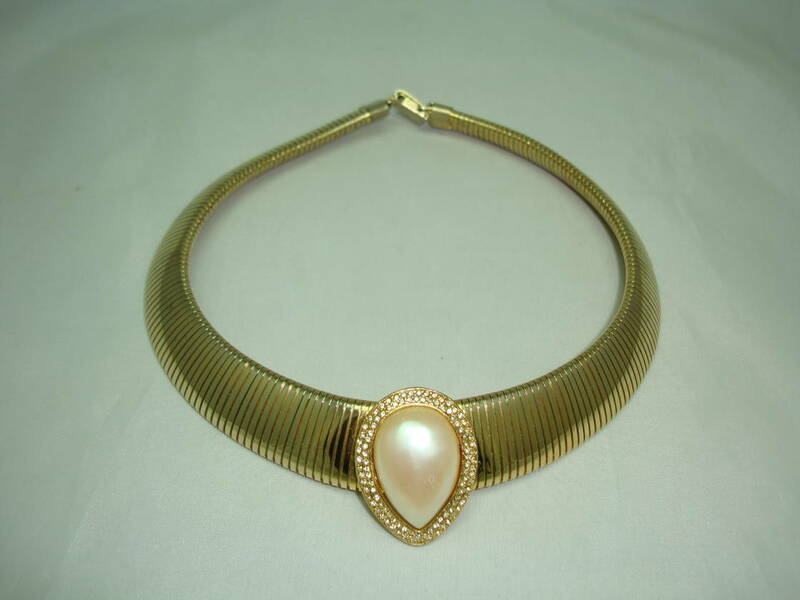 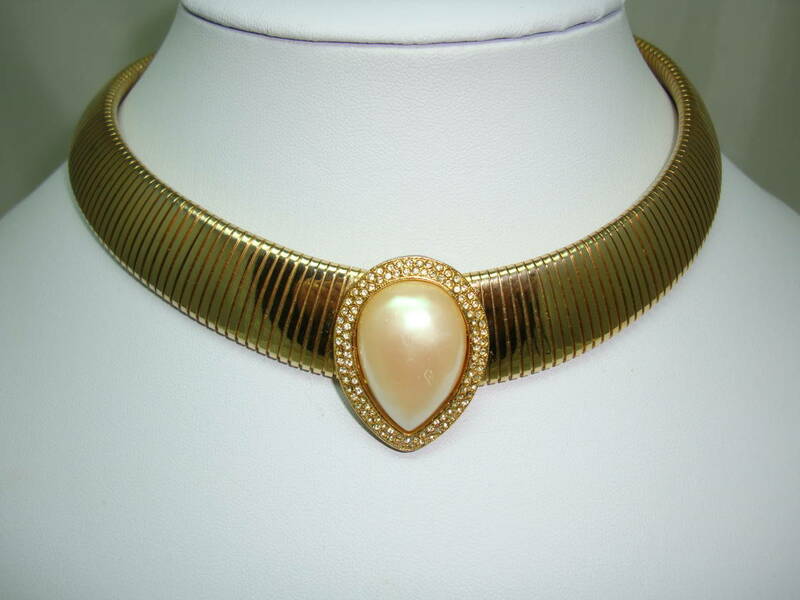 We are pleased to offer this fabulous vintage 1980s wide flexible faux pearl and diamante collar Cleopatra style goldtone necklace which is just stunning. 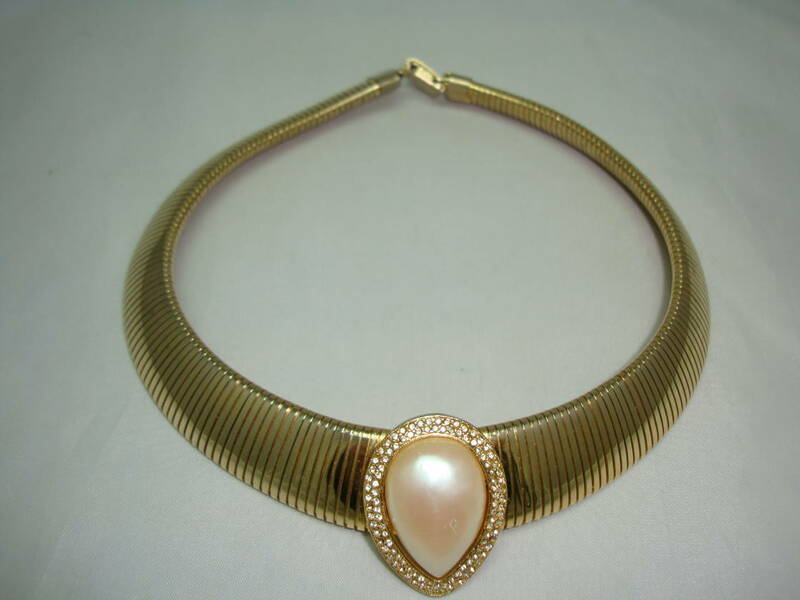 As you can see from the photos, the necklace is in excellent condition, looks really amazing on, really classy and elegant, a timeless classic! 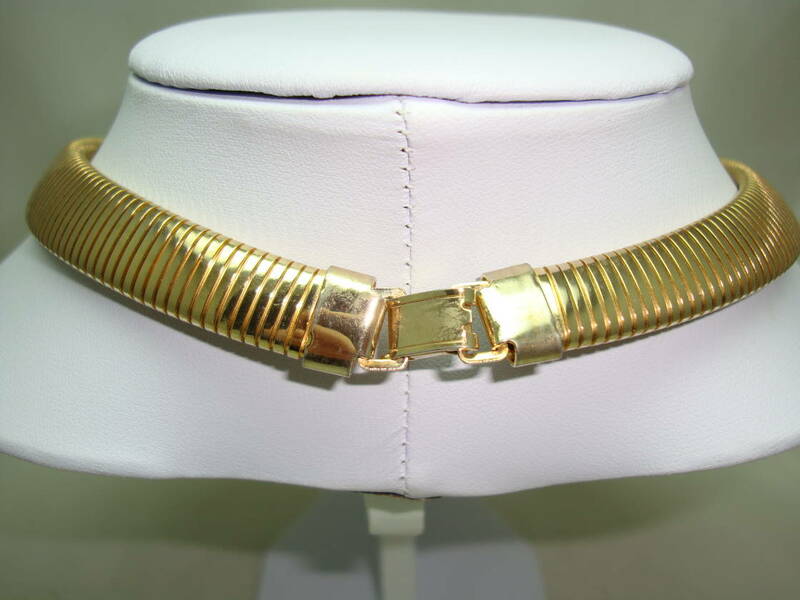 Very well made, excellent quality and weight to this one.